Word games are pretty popular on the App Store and I myself have played my fair share of them. The only reason I even play word games really is because my wife is into them and we occasionally play word games that offer multiplayer options. However, there are times when you just want to play a nice, quiet word game on your own without having to wait for another person to take their turn. Luckily, those types of games exist and SpellGrid+ from SpellGrid Labs offers that type of play. 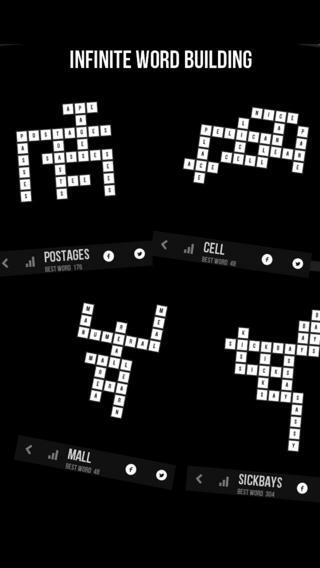 It’s a crossword puzzle style game but without any physical boundaries. The game itself is simple enough to play, but challenging enough for even the most diehard of word game players. You start off by choosing a quickplay game of either a 7, 8, or 9 letter word. This will generate a random word that will be used as your starting word for the crossword. Using any letter from the starting word, begin creating new words but they must be able to connect to the original word and every other word after that. Basically the object of the game is really to see how many words you can create while being connected to a giant crossword. What’s great though is that you are not limited to how many times you can use certain letters as you can repeat letters in a word and you aren’t limited to where you place the word as long as it touches a preexisting branch of the original word. Of course in order to make this even more challenging, SpellGrid+ imposes a time limit to each game. In this case, it can be 60, 120, or 180 seconds depending on how many letters you start out with. I actually like that there is a time restriction as it keeps the game from dragging on too long and does make it a lot more challenging than if you had an unlimited time frame. 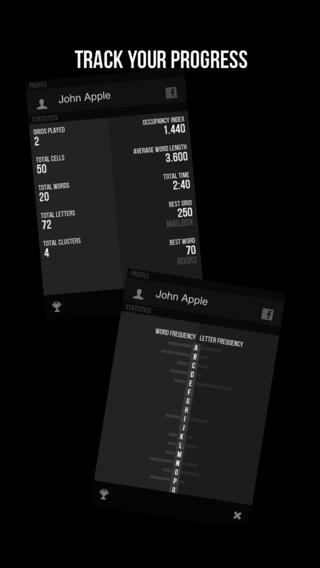 After each game, SpellGrid+ will keep track of all your stats from every single game you’ve played including the words played, your exact crossword made, score, and more. You can even go back to a word and play it again to try and beat your highest score on that round. 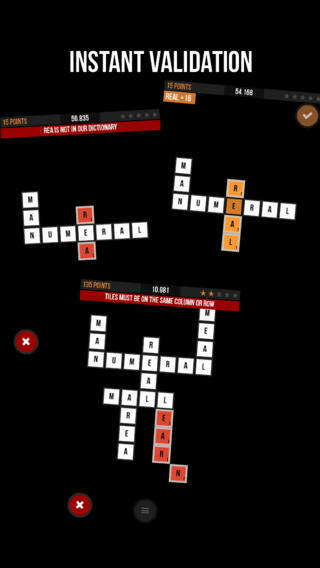 SpellGrid+ is a perfect game for any word game enthusiast. I really like the fact that you’re playing by yourself, basically competing against time and in the end, also against yourself. I really like how the games themselves are pretty open ended with your being able to create words on a crossword with no limitations which means that in terms of gameplay, you’ll never really play the same game twice. Compatible Devices: (Universal App) Requires iOS 4.3 or later. Compatible with iPhone, iPad, and iPod touch. This app is optimized for iPhone 5. SpellGrid is a strategic word building game for everyone. Create as many words as possible from a set of letters, joining them together in a grid. How large a crossword can you build? Classic crossword building on an infinite board. You will never run into corners or out of space. Focus on the words, not the board. Forget about tiles and racks. Just drag letters from the grid and drop anywhere to form words. Clone and multiply! Use SpellGrid as a learning tool. Instant validation allows you to discover new words simply thru experimentation. Completed grids are saved to the cloud. Compare and check out what others have created. Can you think of a word with no repeated letters? Spell away and start a grid with that word. You will never run out of levels to play! Play on! Earn bragging rights with 40 Game Center Achievements. 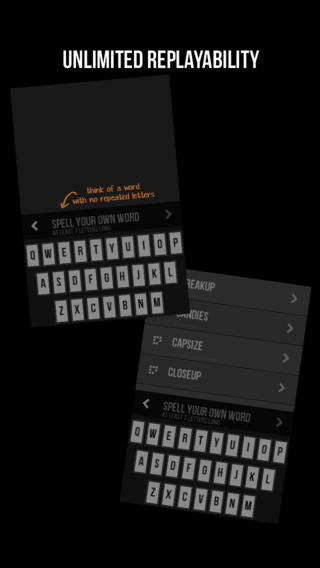 If you enjoy anagrams, crosswords, hangman or other spelling word games, you will love SpellGrid.